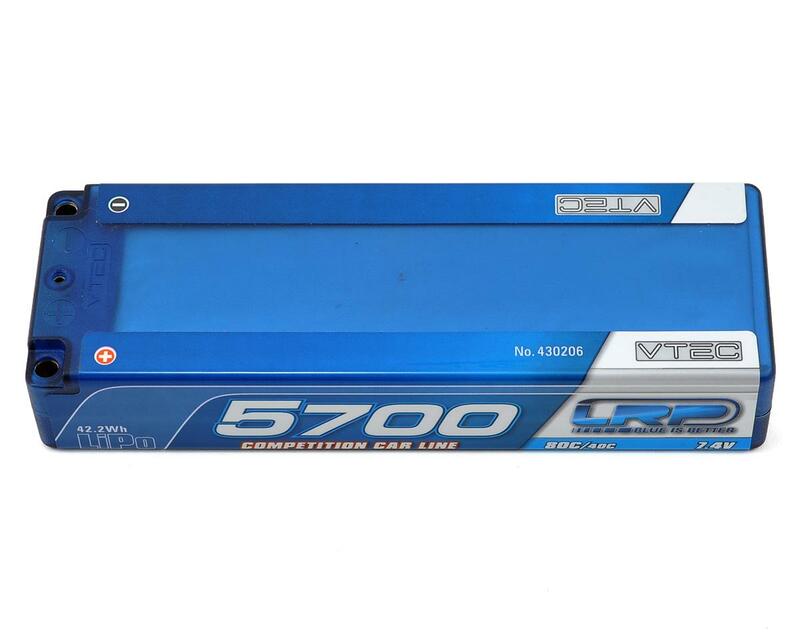 This is the LRP 2S - 7.4V, 5700mAh, 40C, 1/10 Scale Competition Li-Poly Hard Case Battery Pack. With the LRP Competition car line of hard case LiPos, a battery is now available for the various applications of competition. Divided into a special 1/10 line, 1/12 line and an all-round line, materials and cells were adapted to the different requirements. The result: a true Blue is Better product with maximum power output! For 1/10 scale racers, the 2S 7200mAh and 2S 7000mAh are the perfect choice; the 7200 is designed for maximum run time, the 7000 for maximum power. 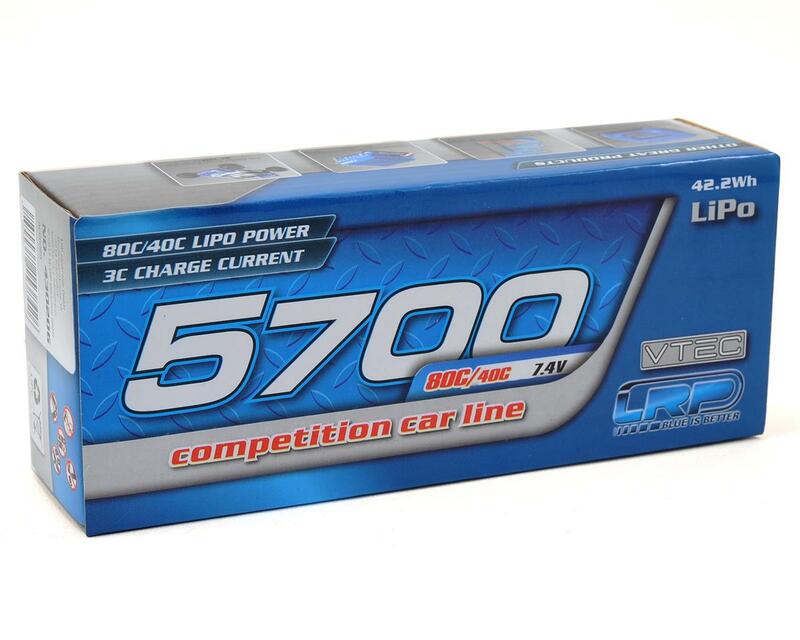 A special 1S LiPo is offered for 1/12 scale drivers with a 6900mAh capacity, as well as an optimized saddle pack for 4WD offroad racing, a short Sub-C and 2S high-power all-round-LiPos that are also suitable for 1/8 models, to top the line off. The battery type can now still be identified with the battery mounted in the car due to the sideways mounting of the label sticker. Battery tape also cannot harm the cool stickers anymore.